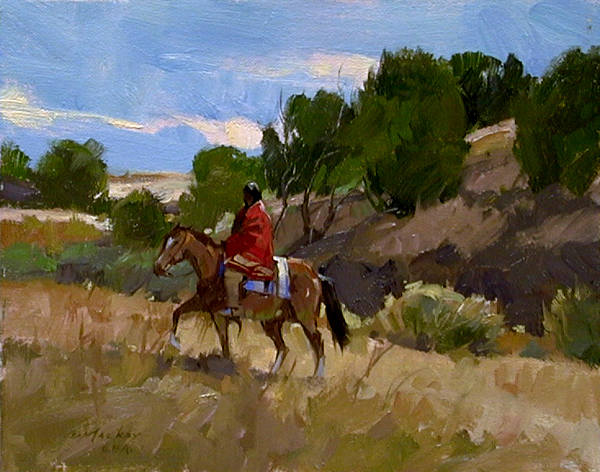 Kim Mackey was born in 1953 and grew up in Colorado. 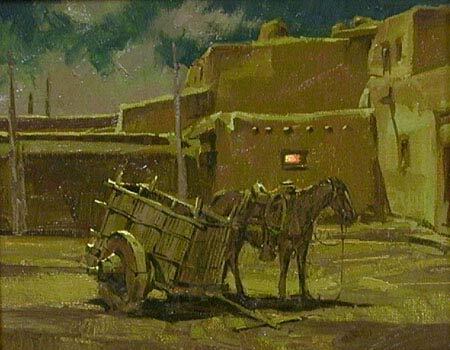 He attended public schools and won a scholarship to attend the Colorado Institute of Art in Denver. 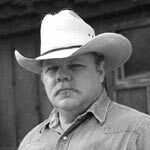 Following art school, he worked for several years as an illustrator, completing assignments for such clients as True West Magazine, Western Horseman Magazine, and Capitol Records. 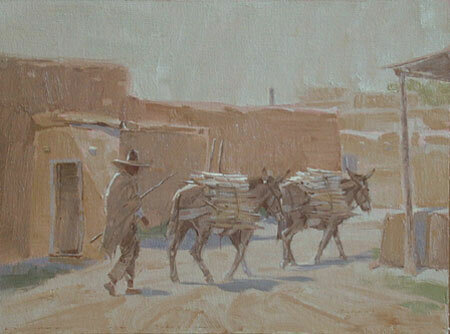 His work is exhibited at Sherwoods Gallery and also has been exhibited at Coors Western Art Show, the C.M. 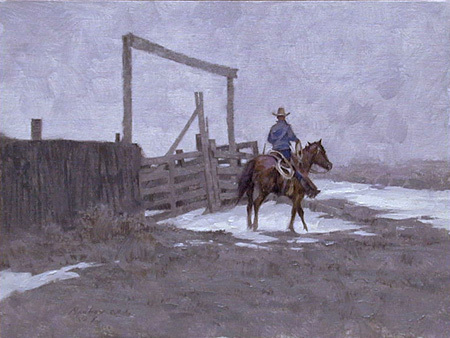 Russell Auction, The American Art Invitational, the Phippen Museum, and the Gilcrease Museum. De Cristo Fine Art Center in Pueblo, Colorado. 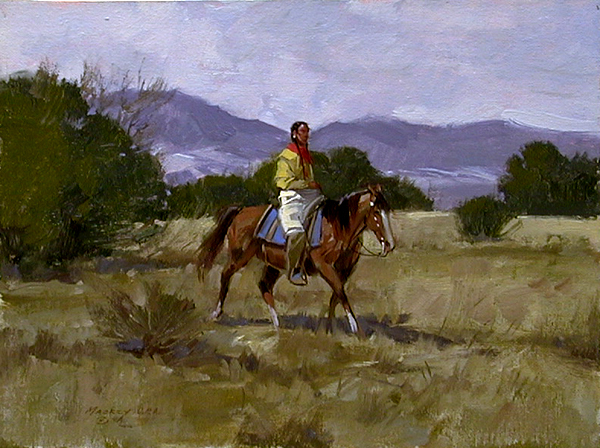 He is represented by galleries in Denver, Houston, Scottsdale, Park City, Aspen, and Boulder. 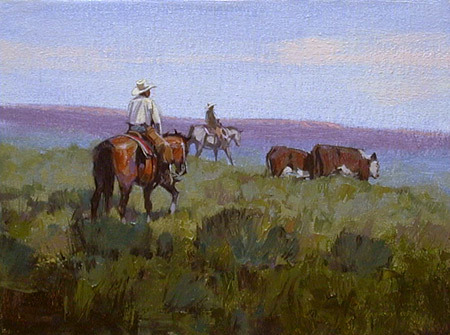 Kim is one of only a few artists in the United States to be selected as a signature member of the Oil Painters of America, and has been featured in Art of the West, Art Talk, Western Horseman, Cowboys and Indian, Art Revue Magazine, The Artist's Magazine, and Southwest Art Magazine. 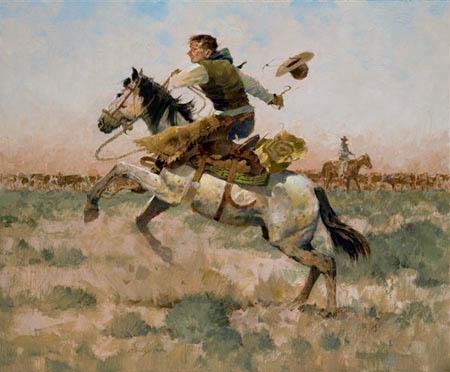 The Denver Post has called him,"a master of this genre", and Southwest Art has called him a,"traditional", Cowboy Artist in the finest sense of the word.